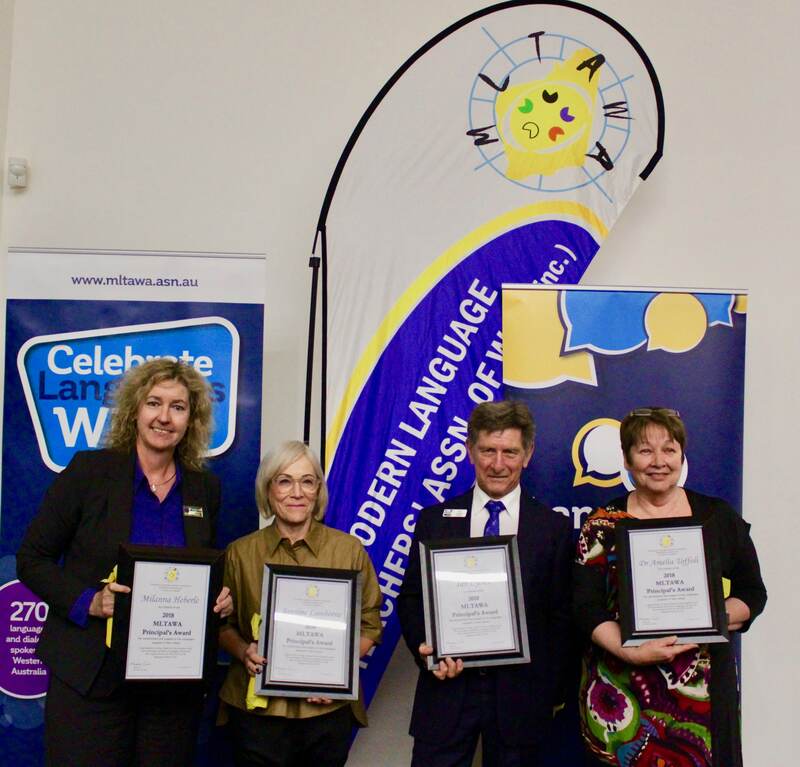 Wednesday, 31 October 2018 was a big night of celebration for MLTAWA. 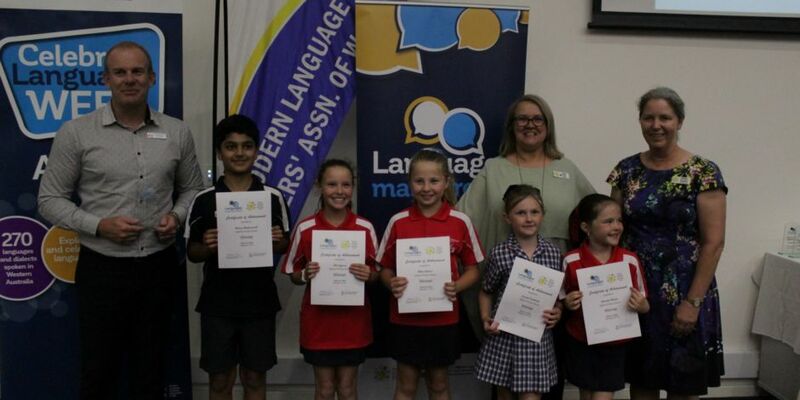 We hosted a three-in-one event to present prizes to the winners of the Side by Side competition and the Let Me Tell You a Story competition. 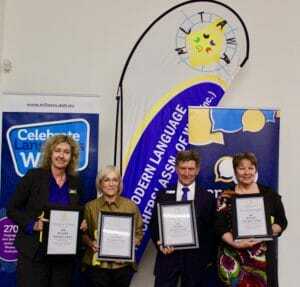 We also honoured the finalists and announced the winner of the Principal’s Award – Dr Amelia Toffoli (pictured far right), Mr Ian Lyons (pictured centre right), Ms Jonnine Lamborne (pictured centre left) and Ms Milanne Heberle (winner) (pictured far left).